GET BACK THAT FLAWLESS, VIBRANT GLOW! Are you struggling with irritating sun spots, unsightly stretch marks, discoloration and freckles?Not anymore! 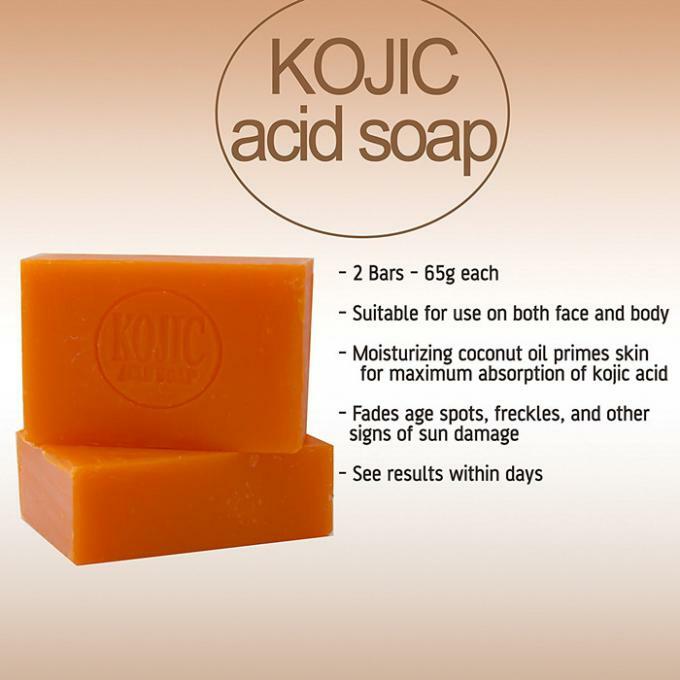 Use Kojic acid soap daily to whiten your skin, remove dark spots and even out your skin tone naturally! KOJIC ACID CONCENTRATED FORMULA: Don’t be fooled by poor quality Kojic acid soaps available out there! Save money and time by choosing only this advanced, concentrated formula for optimal results, in less time. MOISTURIZE & NOURISH: Thanks to its luscious, rich texture with coconut oil and hyaluronic acid, this premium quality Kojic acid soap will penetrate deeply in to the deepest layers of your skin to nourish and hydrate the cells giving you back that fresh, youthful glow! SAFE FOR FACE & BODY USE: Wash your face and body with this natural, whitening soap and get ready to be amazed by its stunning results! If you’ve already tried every thing with no success, don’t fret! 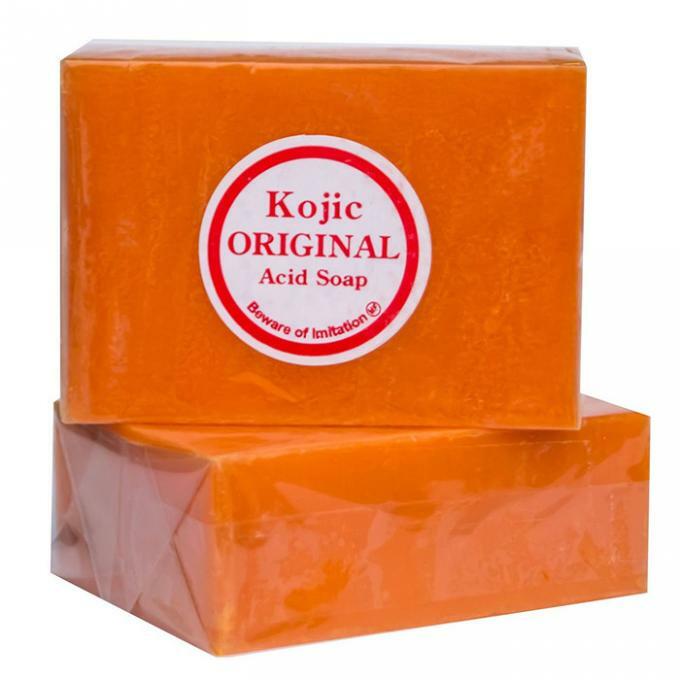 Try Kojic acid soap today and say good bye to dark spots once and for all. NATURAL GOODNESS: This natural skin lightening soap is ideal for daily use with 100% safety. Being natural (Kojic acid is a by-product of malted rice), it makes an excellent addition to your everyday beauty care routine. Extensively used in Japan as a skin lightener. It works by inhibiting tyrosinase, a skin darkener as you grow older. Kojic Acid was first discovered in Japan in 1989. If your skin suffers from Uneven Tone, Dark Spots, Pimples, Dark knees, Dark neck and arms, Stretchmarks, Skin Blemishes, Melasma and excessive permanent sunburn then look no further, this is the right soap for you! 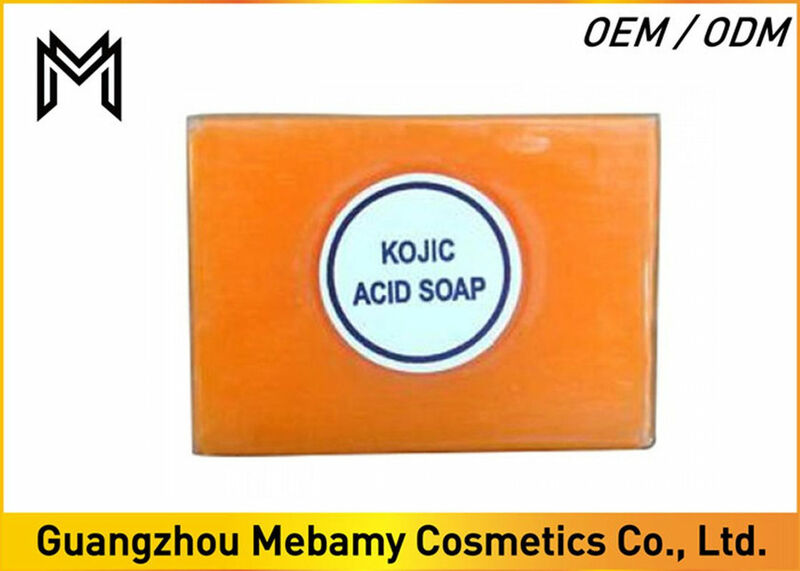 Original Kojic Acid Skin Whitening/Lightening Soap is formulated with pure Kojic acid. In Japan, this soap was successfully used to lighten and whiten skin discoloration and whiten dark spots giving a fairer, whiter and younger looking skin. It penetrates upper skin layers to inhibit the formation of pigments. The upper layer is lightened, while the deeper layers remain unaffected. Sun light brings the deep layered colors to the surface. Usually the effect produced by Kojic acid lasts as long as the soap is being used regularly. Buy more to stock up on quantity for your next use. Are you struggling with unsightly pimple scars, freckles and hyperpigmentation? Have you already tried everything under the sunwith little or no success? Do you want to experience impressive, visible results fast? Boasting an advanced, highly concentrated formula, this Kojic acid whitening soap is the best way to finally fade age spots, discoloration, stretch marks or pimple scars and even out irregular skin tone once and for all! Kojic acid White Skin Lightening Soap provides its effective ability in skin tone adjustment to be naturally whitening and glows also nourish your skin to get moisture and youth. Help reduce freckle and pimple spots include dark skin damage from sunlight, reduce stretch marks and irregular skin tone. Daily use on face and body.